As parents, we all desire to have a good relationship with our children. One of the biggest parts of that is keeping the lines of communication open. 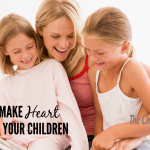 When our kids feel free to communicate with us, it in turn keeps the connection to their heart strong. 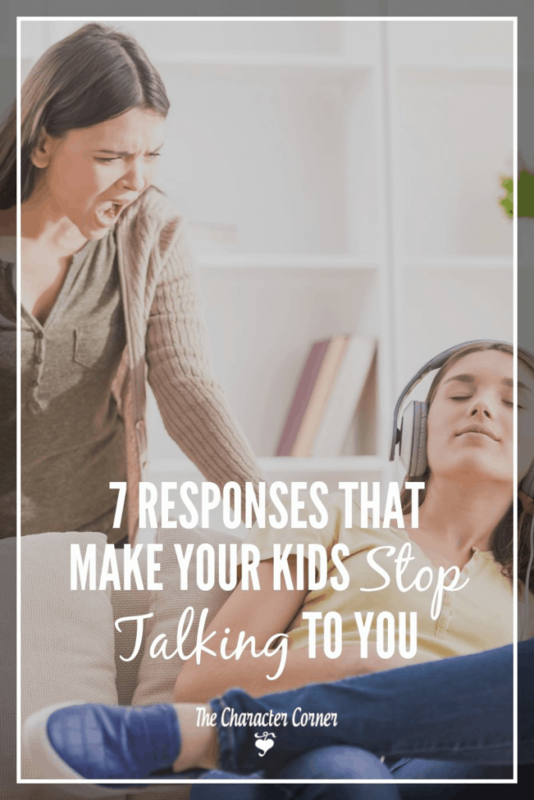 It’s important to avoid responses that make your kids stop talking to you, which then cause damage to the relationship. Think about what is offensive to you as you share something with a friend or family member. 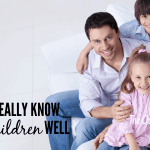 Are you guilty of those same offenses when your kids talk to you about things? 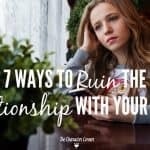 I think we are all guilty of these things occasionally, but when done repeatedly, it can cause damage in our relationships. What are two things we do that can kill communication? After a person interrupts me two or three times, I tend to just stop trying to say whatever it is I was saying. Frequent interruptions tend to make you feel that they don’t really care what you are saying, and to them what they have to say is MUCH more important. If we frequently interrupt our children when they are sharing something with us, they will get frustrated and eventually quit talking to us. 2. Fail to give them our full attention, or fail to respond to what they are saying. Wives, you can relate to this. We tell our husband something, and he responds with a grunt. We accuse him of not hearing us to which he replies, “I heard you.” Then he repeats what we said. He may have “heard” us, but what he heard didn’t really register! We want a response to what we have said that shows they really were listening. It’s the same way with our kids. They need us to stop what we are doing, look at them, listen, and respond in a way that shows we caught what they were saying and what they meant. Acknowledging that emotion makes them know you care not only about what they are saying, but what they are feeling. 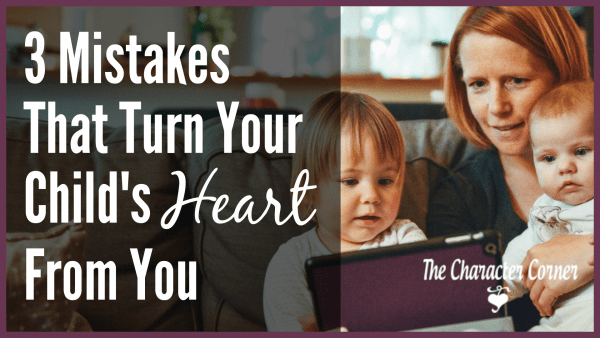 When our kids come to us and share something with us, it’s hard not to go into “parent mode” and respond with our criticism, or with correction. This makes them unwilling to take the risk of telling us things they think we may disapprove of, or lecture them about. It’s better to listen and show an interest, then THINK before responding. If they have shared a situation where their responses or actions were wrong, don’t correct at that time. Make a mental note that it is something to address with them at a later time, in a casual manner, with the goal of teaching based on what they shared with you. 1. You shouldn’t have done/said that. They already did, so this comes across as critical. They don’t know why, and it puts them on the defensive. Bite your tongue if you have to, but DON’T ever say those words to your kids! 4. What were you thinking?! 5. I know exactly what you were thinking. We may THINK we know what they were thinking, but need to give them the benefit of the doubt, and assume the best about them, rather than the worst. Pretty much the same as calling them a liar, and very insulting. Would you tell things to someone if you thought they were going to tell you what you did was stupid? You probably already figured that out, but wanted to talk about the situation without getting put down about what you did or said. Perhaps you have been guilty of some of these responses. I know I have! That doesn’t mean you have ruined all chances of communication with your kids. We are human and will say things we shouldn’t. The key is to realize the mistake when it happens, and apologize to that child. Let them know you love them, and want to hear whatever it is they want to share with you. If we don’t listen to them, they will go find someone else who will! I don’t know about you, but I want to be the one my kids come to with their news, needs, hurts, joys, etc. Keeping that line of communication open is one of the best ways to win and keep their hearts! 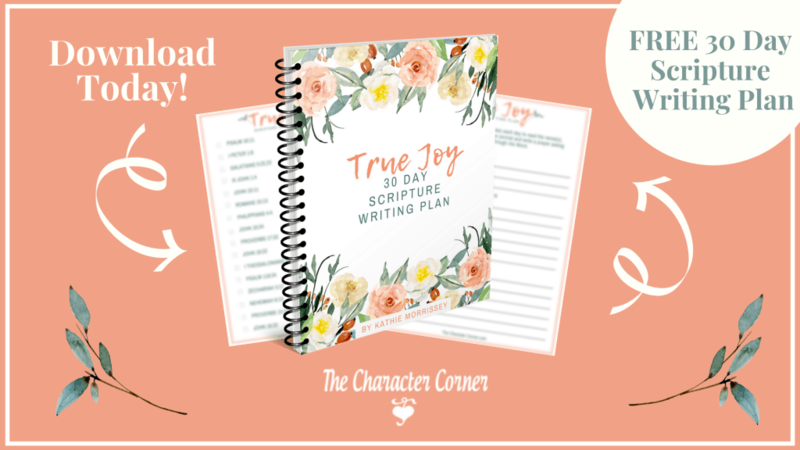 Thank you for this great reminder! 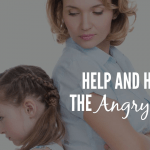 It is so easy, especially if you are perpetually busy as moms of many tend to be, to unintentionally hurt them and shut them down. I have a son who has Aspergers and is very bright. He is obsessed with all things computer related and constantly wants to tell me about the latest deeply technical interest he has, often in a monologue fashion at what seems like the busiest times of day. Unfortunately most of the time, I am impatient and can be short with him because he can’t read social cues and does not really get give and take in a conversation. I adore him and want him to want to continue to talk to me, but I really do find it challenging to give him my full attention when what he wants to talk about sounds like a foreign language to me. Unfortunately there aren’t many technologically inclined people in our family, so he almost never gets an appreciative audience. He’s generally happy and a very sweet and good natured boy (he’s 10). I don’t want to hurt him (or any of my kids). He is one of 9 children, and they all need my attention from baby to teens. Some days I’m not at my best. Do you find it hard when you are so outnumbered to pay individual attention to those that are not the squeaky wheels? 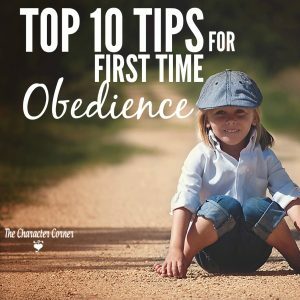 I want to be intentional in relating with each one, but I know I fall so short. Thanks! I can see why that would be a challenge for you! I would just try to learn little bits about it, so when he talks about all of it you can relate a litte better. Ask him to teach you for a few minutes daily about it. As far as finding it hard to give the kids individual attention that aren’t the demanding (squeaky wheel) ones, YES, that is hard! We had a daily kitchen helper, and we spent time together preparing dinner, and then they were allowed to stay up 30 min. later than the other kids & choose to play a game with us, read, or whatever they’d like. It was an easy way to spend time with each one individually that way, and they loved it!